I am a functional artist of Ngati Kahungunu, Ngapuhi and Dutch decent. 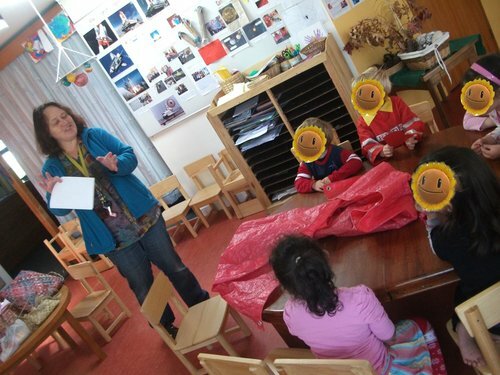 In the picture above I am running a raranga session with the children at Bright Star Early Childhood centre. 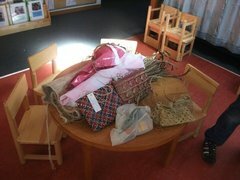 Below is a photo of the samples I took to show the children what could be made from flax. Harakeke is the main medium I use. 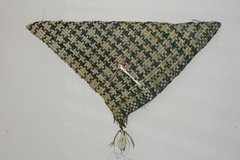 I prefer the term artist rather than weaver as I like to be creative and make unique pieces. Most of the pieces I make are functional. You can see more of my work at www.rangawairua.com. I am interested in sustainability and like to use recycled materials in my work. Sometimes the pieces I make are a combination of traditional and contemporary materials. I am fortunate that on my mothers side my nanny Ani was a weaver and on my fathers side my grandfather was an artist (you can learn more about him at www.roestenburg.co.nz). So with that heritage it is no wonder that I love my work! For the past couple of years I have been studying raranga at the Porirua campus of Te Wananga o Aotearoa. This year I decided to joined Te Roopu Raranga o Manaia as I enjoy the interaction and support of weeing with others. The picture on the right is a piece called "REMIT, Te Kupenga a Maui". This is a piece of functional art that was designed to keep track of time in a subtle way. 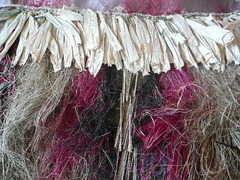 I am currently working on a piece of wearable art made using traditional Maori methods to adorn the walls of Te Amokura, an Indigenous wellness, education, research & restoration practice in Whanganui.